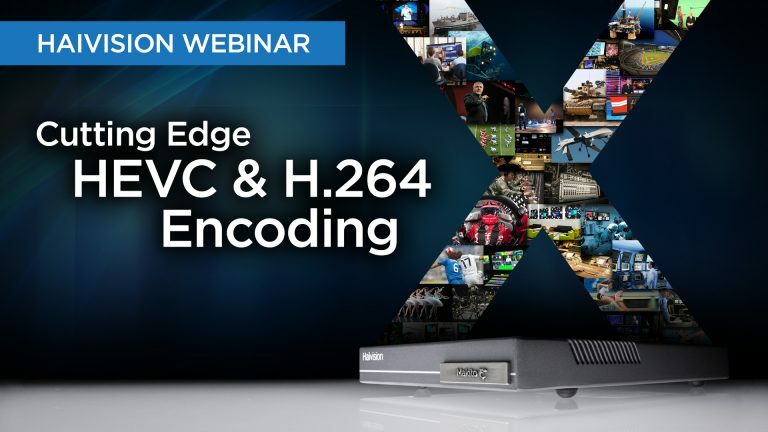 Explore the latest HEVC and H.264 encoding technologies for transporting secure, low latency, HD video over any network at extremely low bitrates. See the latest video encoding trends and get an overview of Haivision’s award-winning Makito X Series of high performance video encoders, designed for live, interactive and headend applications. Our industry experts will highlight the right streaming appliances to fit your unique workflow. Ultra compact SDI or DVI appliance with up to 4 high performance encoding cores. Ultra compact encoder for live HEVC/H.265 and AVC/H.264 video over any network at extremely low bit rates. The ultimate safeguard for your source video content regardless of network conditions.